This update will focus on the Department of Justice’s (“DOJ”) internal memorandum regarding the reiteration of the policy and likely enforcement that the DOJ may move to dismiss meritless False Claim Act (“FCA”) cases as well as comparing it to what some would consider the aggressive stance of the Yates Memorandum issued by the DOJ regarding Individual Accountability that Outlook Law analyzed in September of 2015. Both links are provided in this update. The Department should consider moving to dismiss where a qui tam complaint is facially lacking in merit—either because relator’s legal theory is inherently defective, or the relator’s factual allegations are frivolous. The Department should consider moving to dismiss a qui tam action that duplicates a preexisting government investigation and adds no useful information to the investigation. In these cases, the government should consider whether the relator would receive an unwarranted windfall at the expense of the public fisc because Congress intended for the relator share to incentivize and award the provision of meaningful information and assistance instead of merely providing duplicative information already known to the government. Dismissal should be considered where an agency has determined that a qui tam action threatens to interfere with an agency’s policies or the administration of its programs and has recommended dismissal to avoid these effects. Relatedly, the Department should consider dismissing cases when necessary to protect the Department’s litigation prerogatives. In certain cases, particularly those involving intelligence agencies or military procurement contracts, we should seek dismissal to safeguard classified information. The Department should also consider dismissal under section 3730(c)(2)(A) when the government’s expected costs are likely to exceed any expected gain. The Department may also seek dismissal of a qui tam action pursuant to section 3730(c)(2)(A) based on problems with the relator’s action that frustrate the government’s efforts to conduct a proper investigation. Several additional points are in order with respect to the use of the government’s dismissal authority under section 3730(c)(2)(A). First, while the Department’s position has been that the appropriate standard for dismissal under section 3730(c)(2)(A) is the “unfettered” discretion standard adopted by the D.C. Circuit rather than the “rational basis” test adopted by the 9th and 10th Circuits, we should argue that even the latter standard was intended to be a highly deferential one. Moreover, in those jurisdictions where the standard remains unresolved, in many cases the prudent course may be to identify the government’s basis for dismissal and to argue that it satisfies any potential standard for dismissal under section 3730(c)(2)(A). Second, the factors identified above are not mutually-exclusive, and the Department has often relied on multiple grounds for dismissal (for example, lack of merit and need to safeguard classified information). Nor, as noted above, are the factors identified in this memorandum intended to constitute an exhaustive list. Third, in some cases there may be alternative grounds for seeking dismissal other than section 3730(c)(2)(A), such as the first to file bar, the public disclosure bar, the tax bar, the bar on pro se relators, or Federal Rule of Civil Procedure 9(b). Fifth, where a qui tam case is a potential candidate for dismissal, Department attorneys should consult closely with the affected agency as to whether dismissal is warranted under any of the factors set forth in this guidance. The agency’s recommendation should be obtained in advance of the filing of any request to dismiss. In cases where dismissal under section 3730(c)(2)(A) is opposed by the agency (because, for example, it would require the government to disclose sensitive information or could result in other collateral consequences), there may be alternative ways to address the deficiencies while accommodating the agency’s desire to forego seeking dismissal. For example, if the agency views the alleged falsity as immaterial, the United States can provide an agency declaration to that effect. See Trinity, 872 F.3d at 664 (holding that district court erred in concluding alleged falsity was material to agency despite agency memorandum stating that there was “an unbroken chain of eligibility for Federal reimbursement” for the allegedly defective product at issue). Sixth, although a motion to dismiss under section 3730(c)(2)(A) will often be filed at or near the time of declination, there may be cases where dismissal is warranted at a later stage, particularly when there has been a significant intervening change in the law or evidentiary record. However, if one waits until the close of discovery or trial, there is a risk that the court may be less receptive to the request given the expenditure of resources by the court and parties. The court may also be less receptive to a motion filed at a later stage when doing so undercuts a claimed desire to avoid or reduce costs associated with discovery or safeguard information in discovery. Attorneys considering dismissal should therefore allow for sufficient time to consult with the affected agency and, in delegated cases, to provide appropriate notice to the Fraud Section. Finally, attorneys planning to recommend declination or dismissal should, to the extent possible, consider advising relators of perceived deficiencies in their cases as well as the prospect of dismissal so that relators may make an informed decision regarding whether to proceed with the action. In many cases, relators may choose to voluntarily dismiss their actions, particularly if the government has advised the relator that it is considering seeking dismissal under section 3730(c)(2)(A). The DOJ seems to be taking a more measured approach to FCA actions with the recent internal memorandum. Keep in mind that although this approach seems tempered, DOJ still has the Yates memorandum/guidance outstanding; even if there is less vigor or what industry may consider strangleholds on FCA defendants. The purpose of the memorandum is to have all the offices act in uniformity in holding individuals accountable for corporate misconduct-namely, high level corporate officials. 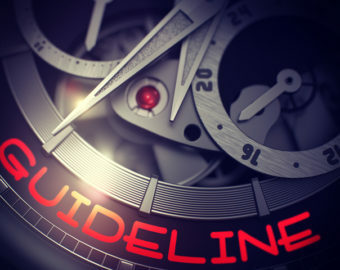 What may make companies take a step back is the level of disclosure the Government may ask for before taking into account mitigation measures under the sentencing guidelines. The memo outlines six key steps, some of which are new, that all addressed agencies should take into account before any mitigation should be received by a company. In large corporations, where responsibility can be diffuse and decisions are made at various levels, it can be difficult to determine if someone possessed the knowledge and criminal intent necessary to establish their guilt beyond a reasonable This is particularly true when determining the culpability of high-level executives, who may be insulated from the day-to-day activity in which the misconduct occurs. As a result, investigators often must reconstruct what happened based on a painstaking review of corporate documents, which can number in the millions, and which may be difficult to collect due to legal restrictions. The measures described in this memo are steps that should be taken in any investigation of corporate Some of these measures are new, while others reflect best practices that are already employed by many federal prosecutors. Fundamentally, this memo is designed to ensure that all attorneys across the Department are consistent in our best efforts to hold to account the individuals responsible for illegal corporate conduct. (6) civil attorneys should consistently focus on individuals as well as the company and evaluate whether to bring suit against an individual based on considerations beyond that individual’s ability to pay. The DOJ seems to be taking a positive step in its willingness to dismiss meritless FCA actions, but a company should still be aware that the Yates Memorandum is out there, and the DOJ has not issued any guidance to the contrary.